Our cutting-edge digital media network connects your business by establishing “front of mind” awareness with our engaged and qualified audience. Building Success One Community at a Time. We are the exclusive provider of online safety and privacy tools and software for the nonprofit Institute for Internet Safety. Our full-screen security application is used by members throughout the world to monitor, maintain and improve online security and privacy for themselves and their families. CUTTING EDGE DIGITAL MEDIA ADVERTISING NETWORK. Connect Your Business with our Engaged and Qualified Audience. 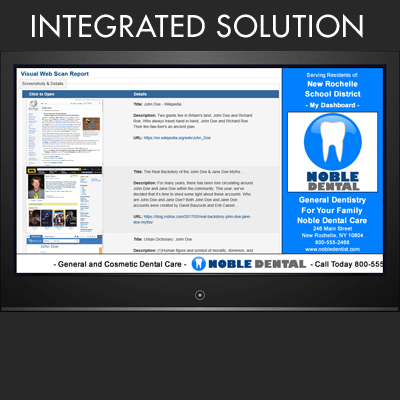 Full Screen Application Connects You to our Qualified Members. Your Logo and Scrolling Message are seen Every Day, All Day Long! You are Featured in our CENTER STAGE Program. 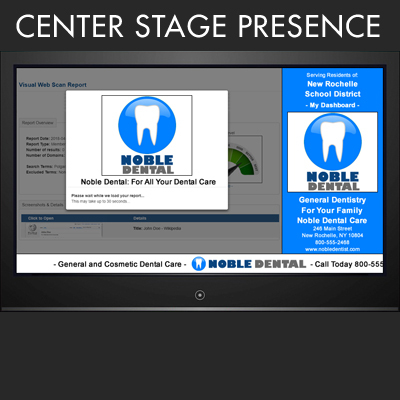 Center Stage features you for 30 seconds in the middle of our screen. Our Members associate Your Business with Their Safety. Establish Front-of-Mind awareness and Connect to New Customers. 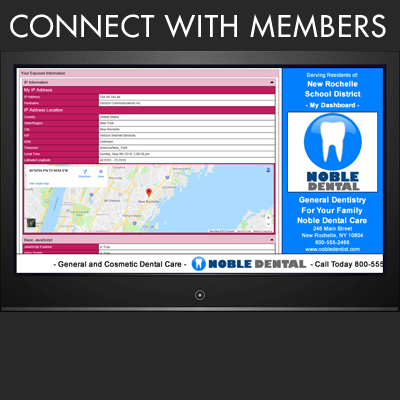 Your Ad is Integrated into the Environment and Resonates with Members. You Connect with Members and become Associated with their Safety. Your Ad is displayed Center Stage for 30 Seconds while reports populate. Internet ID Systems is the Exclusive Provider of Software to the Nonprofit Institute for Internet Safety.